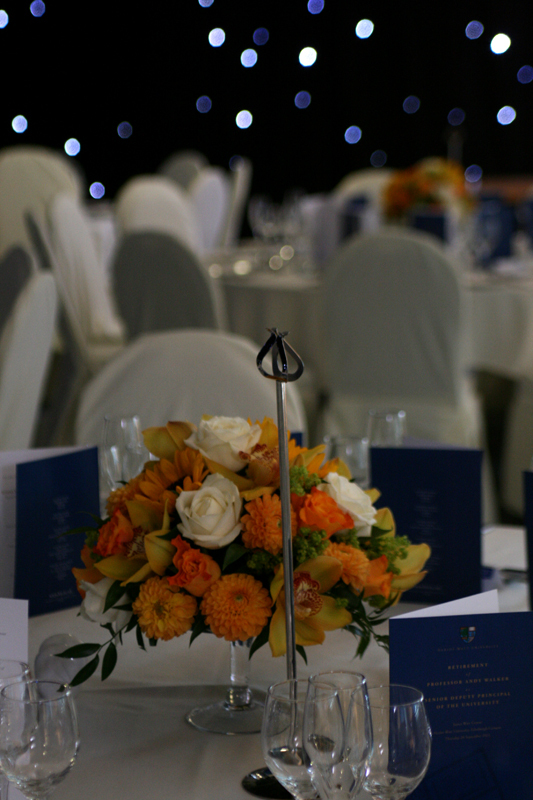 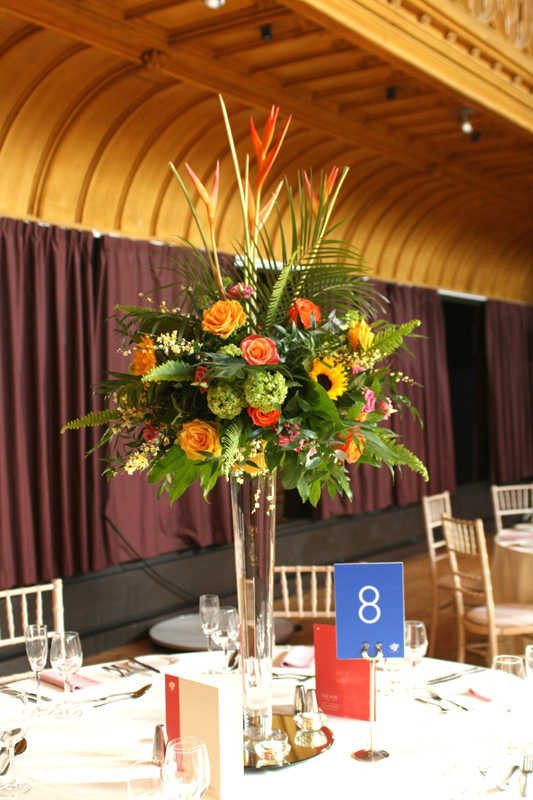 Autumn colours of yellows, oranges and green were used for this special retirement dinner at Heriot Watt University. 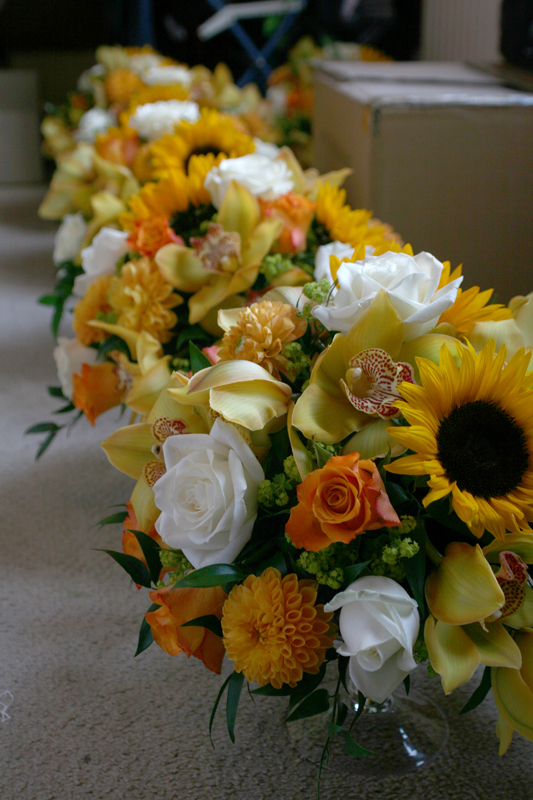 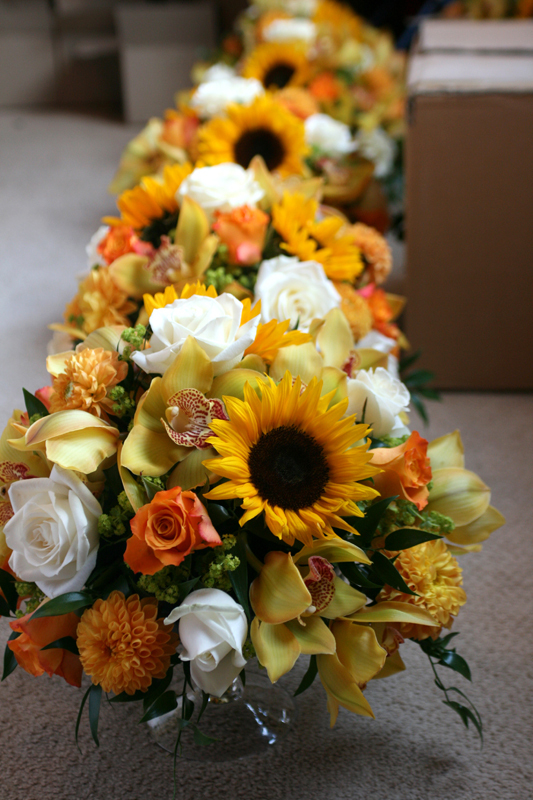 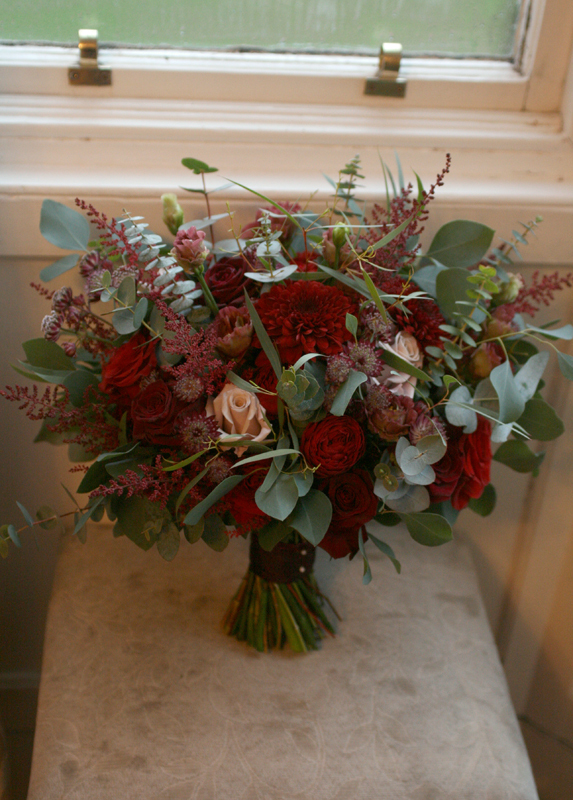 We included gorgeous sunflowers, roses, cymbidium orchids, dahlia’s and alchemilla. 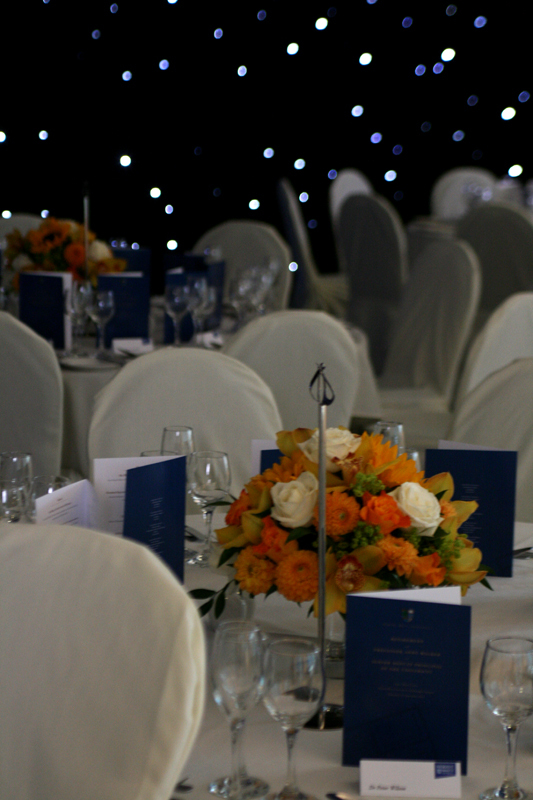 We loved the new black star curtain backdrop which really made the flowers/colours pop!